When the founders wrote the Constitution, they started from the understanding that people are not angels. If they were, as Federalist Paper #51 points out, there would be no need for government. But it is a common human behavior to violate the rights of others, unless prevented from doing so. That meant the founders had to build a constitutional system that allowed for majority rule, but still protected people’s liberties from the possibility of the tyranny of the majority. While it often may be taken for granted in the United States in modern times, this was a novel structure that hadn’t be successfully implemented anywhere else in the world at the time. Where governmental abuse and the violation of personal rights were normal, the founders created a structure that successfully restricted the government’s ability to invade an individual’s rights. 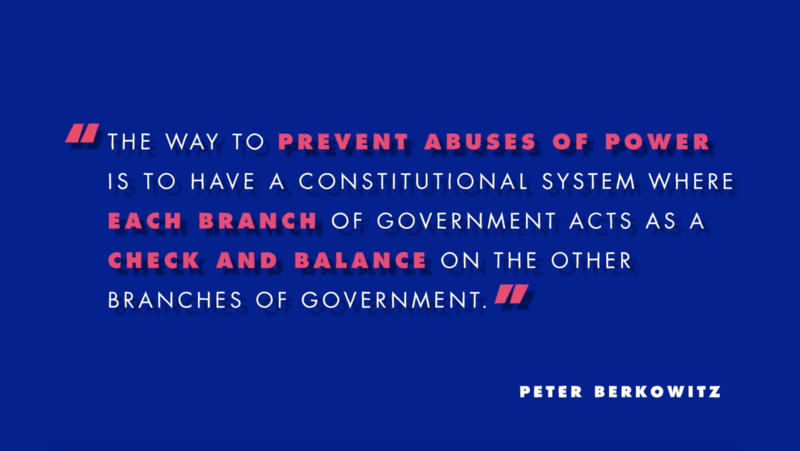 An important part of that was spreading power out across three competing branches of government, and by embracing a federal system that further restricted abuses by granting powers not specifically given to the federal government to states and their elected representatives. By explicitly keeping the concentration of power away from a single individual or body politic at the federal level, they gave individuals the freedom to live their personal and economic lives as they saw fit. Decentralization of power, wisely constructed, protects personal liberties.